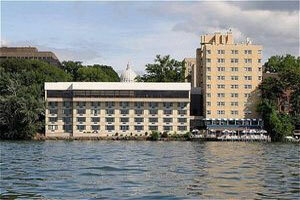 The Edgwater hotel in Wisconsin stands out in an area that has many other hotels and attractions. The overall setup is almost like a small town and wows people from all over the country when they come to visit. It also have 202 different rooms and many other facilities. Their outdoor furniture design from the bar to every other section is also stylish and functional. While few of us have a business this large we can still learn many things from this particular location which is also an attraction. The first big thing that it has is being on the edge of a large lake. For once its truth in advertising as Edgewater actually is on the edge of some water. This is perhaps refreshing in this day and age. It gives the local area a lot of natural beauty and lets guests do some boating as well. This is a big reason why the area has been redone and is going to be an incredibly popular spot upon their re-opening in august. Outdoor Furniture in this area is mostly of the highest quality. Either it is picked for fashion or to be extra-durable for those hanging and having fun by the dockside. Durability is something that you always want to look for when selecting any sort of piece. Balancing the need for it to look good with the need for it to work well is something we all have to figure out for ourselves. Another thing to learn about the re-opening is that sometimes you need to do some repairs. This is common sense to many but most businesspeople do not want to take the time to shut down temporarily. They fear they will lose money. You will lose quite a lot more money if you decide to stay open while your entire area is in disrepair. This is a great way to lose a large amount or even all of your fan base. The sheer variety of experiences you can have there is significant as well. You can shop and have a spa day then go eat on their outdoor furniture. All of these are done in a clean area with plenty of lighting. They also have festive decorations when the holidays come around including parties and Christmas events. There are bars and restaurants sprinkled throughout with stores as well. Creating sheer variety is something we can all hope to find in our own homes or businesses as well. Grand events are another thing that draws people in. Festivals, celebrations and even weddings can be held here. They have pools and skating rinks. Docks and spas. Having large areas where people can enjoy themselves during the best times of their lives is something that all people strive for. Indeed making people happy is the one thing you can be sure that anyone will pay money for. So these are rather general lessons but the final one is specific. However you decorate with your outdoor furniture and area do it in a grand style like the Edgewater. 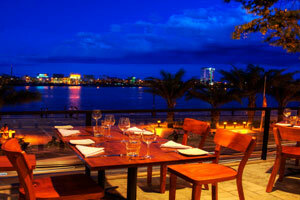 A waterfront outdoor bar is something that attracts many people to individual hotels and businesses. We’ve discussed quite a few in the past that have used this style in many ways. So how would you go about doing this in your own area? There are many different ways in which you can and we will discuss a few of them as well. You may be surprised at how many options you have when creating something like this. You don’t necessarily need to be near a large body of water to start with for one. The technology we have today allows us to create massive pools, artificial ponds and even man-made islands. This gives us an incredible amount of options for creating water features even in the middle of cities. New York and Chicago for example have rooftop pool areas that are quite large. This is because we can make them fairly easily. They are still relatively expensive but far more affordable than ever before. Outdoor Furniture in this style needs a bit more thought put in. Light, lively colors are needed so that people can enjoy themselves out in the sun. At the same time you need to choose pieces which will not bleach in the sun nor get ruined by all the water which they will inevitably get splashed with. In either case it is very important to make sure you get highly durable and useful pieces. They should also preferably be light so you can move them around as well. If you run a business then you also want to consider a few things for your area as well. Have some sunscreen that patrons can buy or get for free so that they can protect themselves from harsh burns. Have some shade umbrellas around a few tables. No one likes to get toasted just because there was not enough shelter. These are the basics but some business owners neglect these and bring big trouble to their doorstep. Another question is where your bar is located on the waterfront. Is it near a polluted area or a scenic lake? This will change a lot of things for you. You may even have to relocate if the natural environment is spoiling your outdoor furniture and the drinks for your patrons. This is something that you need to look into before you go with a large purchase of real estate though. Once you have made it, it can be hard to change things. You can of course always create your own pool or small lake. This can be quite expensive and many areas are not zoned for such things. On the other hand it is a great way to insure that you have a small area which you fully control that cannot be contaminated by outside people. So it’s up to you whether it is worth paying for that. Whichever method you decide to us the water can be an amazing draw for anyone trying to get new customers into their business any day. The country pub is something all of us have had in our family history. The outdoor furniture always had a rustic look and the interior always has an inviting atmosphere. This style has been somewhat forgotten in some parts of America but it lives on here and there in small parts of each city or county. In Europe this style is not as popular as old times but is still quite popular even now. There is certainly something to be said for using this in your own business so we are going to talk about it today. There is no set definition for a “Country Pub”. However they often have a few factors in common when people go to them. None of them look too “rich” and all of them have an appeal for the normal person. Indeed it is the fact that they do not take themselves too seriously that draws so many people in. Relaxing and kicking back are things that you must have if you are trying to put this sort of thing together. Outdoor Furniture in this style needs a specific look throughout. Our advice is that you can never go wrong with wood pieces. Even when they have worn down from use that actually makes the pub look even more like a relaxing place to be. It shows that people love to be there and will go there so much that they have worn them down. Having some initials carved in somewhere also lends to the feel of the place. Anything that makes your business look “lived-in” is good for it. After all when this style was first around people would literally live in the place. You would think that one requirement of being a “country pub” is to actually be in the country. This is not always the case as you can sometimes find establishments like these in a city as well. Being in the countryside certainly is an advantage though because of the natural beauty. You do in fact want to have some plant life or possibly allow some animals in as well. Having a natural setting helps people feel relaxed and can keep them coming back. Some country pubs actually cost more than similar restaurants as well. 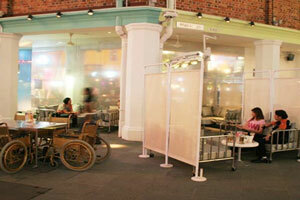 They do this by having expertly crafted outdoor furniture and other items. 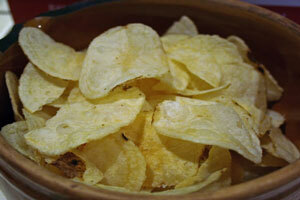 They also use the finest ingredients from the nearby countryside. This style is actually extremely popular in France as well as England. People come from all over the world to sample the food from places such as this and they also draw attention from the media. How to set all this up is something you have to decide. You may decide to go with cheap but delicious ingredients and try to create a place that people want to visit every day of their lives. Or you may go with the previously mentioned super-organic ingredients and raise your prices accordingly to match the sheer quality. Be sure to put your best effort into whichever one you decide to go with. Kayabukiya Tavern is one of the best-known taverns in all of Japan. Their unusual style of serving has given this to them. While the waiters are not exactly a part of the outdoor furniture they do create a special setting for the patrons that you cannot find anywhere else in the world. How do they do this? They have trained monkeys in order to serve the customers. That is right trained animals bring your drinks around. This is yet another example of a strange setting drawing in many customers. This setting would never work unless they had some restrictions on what the monkeys can and cannot do. All of the monkeys have regular health checks and the area is also checked for cleanliness. 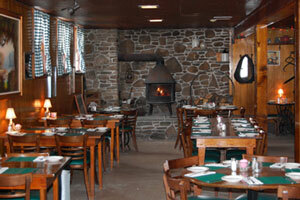 They are treated properly and fed well by the staff and customers. Each one is trained perfectly to wait on the customers and even bring them additional items like towers. The bottom line with this is even if you have a crazy gimmick you should do your best to keep your establishment classy. Patio Furniture is another area in which we can learn something from them. The items they have used to decorate the inner and outer areas all have a homey feeling to them. They are also distinctly Japanese. This helps to offset the craziness of the outlandish waiters. Everything besides the monkeys waiting on you is so normal and average that it really creates a dichotomy of design. The lesson to learn here is to go crazy with one aspect of your decoration but keep the rest down-to-earth. 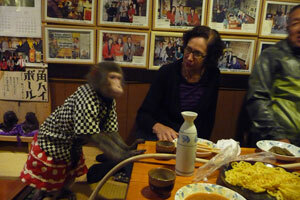 On that same note the regular human waiters and the monkeys are both quite hospitable. For a job well done the monkeys are given some beans to snack on and treated well by the owners. Everything is kept very friendly and personable from the top to the bottom of the establishment. This particular setting is very important to create in your own business. It can keep people thinking favorably of you no matter what happens. Another thing that this shows beyond just outdoor furniture is that those running the store are willing to put extra effort in. Not everyone would go to all the trouble that is needed to keep these animals healthy and well-trained. Monkeys can notoriously be a bit bad-tempered in certain circumstances so they no doubt hat to put a lot of work and training into it. People value hard work. Perhaps most importantly of all the monkeys involved are a part of the family as well. They started out as pets in the area but eventually became a part of the serving staff as well. While you may not have monkeys in your area you might have some dogs or cats that could become a fixture in your own establishment. People love to have a cute animal hanging around and it can really brighten up the entire setting if you can find the right balance. How you find that balance is up to you. 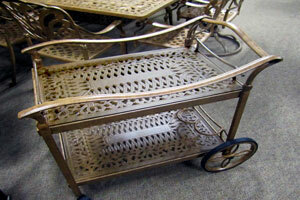 A serving cart is quite essential for outdoor bar furniture. While in the past we might have been limited to a few styles all that has changed. Digitized setups, cooking equipment and much more are all a part of some of our latest models. A piece like this can be set up to do almost anything you would want. So how do you decide on the right one for your next event? We will go over that for a bit today. Hopefully you will get some idea of how you want to handle everything yourself. When first looking over your options take into account where the cart is going to be stored. If you have a place for it inside or in a shed then you can get pretty much any material you want. If it will be outside during rainstorms then try to go with something more durable. You can find colors to fit your setting no matter what material you decide to go with so do not worry too much about that. Fire Pit Tables can also act as serving carts in various ways. Few are made with them built-in although there are some unique models that do have something like that. If you happen to have been able to buy a piece of outdoor furniture like this then you should use it to full effect. You may also want to look into ones that have options for chilling and serving drinks. We know that not all of us have the money for one of the larger and more impressive options with this. In those cases you still have many different options. Just go with a normal steel or wood one with a nice finish. You can also pick one up from a nearby thrift store and decorate it to make it look much better. If you are very skilled in working on pieces like this then you may want to actually look into adding additional options yourself. When picking this large piece of outdoor furniture you should also look into how functional it all is. No matter how good everything looks it won’t be worth much to you if it cannot roll out quickly and efficiently. Guests should also be able to step around it without knocking anything over. Spills can really ruin someone’s good time if they end up on an expensive piece of clothing. If you have the money then look into crazier setups as we mentioned before. Some people have ones that double as DJ setups which can actually play music. Others have full kitchens built into the serving cart which lets them cook on the fly. There is no wrong answer as long as it will impress and entertain everyone at your home or business. The final point to look at is price. Make sure that if you are paying quite a bit of money for any piece it is valuable enough. People sometimes put out low-quality pieces at a high price no matter what item you buy. Aromatherapy can spice up a lot of bar settings. Whether it is in your home or in a beautiful garden with excellent outdoor furniture you can get some excellent results by using this. There are of course concerns for those who are allergic we will discuss in a bit. However it is worth a look if your setting is missing something special to set it apart. You never know what small embellishment will add to the entire setting coming together. One significant source of this comes just from having naturally flowering plants. Even if it’s some sort of small tree it can often add a nice aroma to any area. Having these in your area even if it’s just a small piece indoors can really brighten the mood of a setting and have people feeling better. Which one you decide to go with should be up to you. There is no real wrong choice in that case. This concept can be a part of your Outdoor Furniture selection as well. Some of your pieces may have built-in sections which allow for the growth or placement of plans. Others may have a natural wood smell that allows them to just be placed in order to give them that same great smell. Shop around and find pieces that naturally fit with the setting which you are trying to create. Before setting up something like this be sure to ask your guests if they are allergic to anything. You want to make the experience better for them instead of worse. Also consider having a section free from these smells that a few of your customers can use. If you have that then you will be able to have the best of both worlds. Also there is no discrimination for allergies so don’t worry about laws on something as silly as that. Be sure that your outdoor furniture is set up to go well with whatever aroma you choose. If you have light furniture go with a light smell. If you have darker, heavier tones try to go with a more luxurious setup. If you match these together people will be able to tell that something is different and interesting the very first time that they enter the room. That is an effect that you cannot just simply buy. If you do not want to go with plants then you can always go with sprays or candles. However these seem somewhat less natural than going with the previously mentioned method. They may make your setting convoluted. No one wants to be seen as trying too hard when they are decorating. That is the surest way to sour a setting for your guests so try to avoid it. 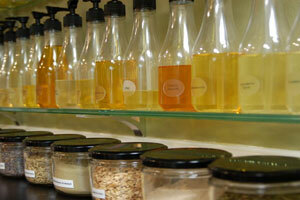 A final approach would be to center the bar on aromas and even sell items centered on it. In that case you may have to redo how you run your business. This may be worth it if those in your area are looking for a new novelty to visit. The Clinic in Singapore creates an odd and maybe a bit frightening vibe. However if outdoor furniture can do that it is worth looking at. With various refurbished medical equipment it is a serious hotspot for tourists. It also has had an incredible number of different stories on the event as well. Worldwide media attention has come their way for their setting. However some of the locals are not as happy about the setting so we’ll go over that too. Their choices in Outdoor Furniture are stylish but unique. Soft cushions for relaxing on with steel not unlike some you would see in an examination room. Chairs that are also shaped liked ones you would see in a doctor’s office. Every detail has been decorated to make you feel like you actually are in a Clinic. It has worked and they have seen some major success from huge numbers of people. Perhaps the thing that stands out most is how they serve some of their drinks. A few of their cocktails are mixed in IV bags before being served to the people. Apparently you can even have a chance to drink one out of that unusual container right from the start. This little extra touch is something you should think about in your own settings. Perhaps you have your own unique idea on the best way to serve this in your own home or business. Usually when we profile one of these bars using incredible furniture and overwhelmingly innovative design there are only good things mentioned. However in this case not everything is perfect with the setting. Due to high prices on drinks and a falling out with the locals the bar has seen a downturn in business over time. They have had to cut back on some of their more extravagant purchases. Recently appears they have closed and are in search of a different owner. The lesson there is obvious. No matter how great your outdoor furniture design is you cannot offend the locals. If they are not into your establishment you are simply doomed to fail in the long run. This applies both to businesspeople and those with neighbors who like to have parties. If you have somehow offended those nearby then you are not going to be able to succeed in the long run. Even though they failed the décor will still be valuable. It had more to do with extravagant prices than anything else. Their decoration ideas were not bad but there is apparently so far they will get you if your customers are not happy with the other products. There had been complaints about both the price and quality of the drinks served there so it was only a matter of times. You should also not be put off of your own unique design ideas by this. Most businesses in general fail. It’s up to you to find the proper mixture of service and style that allows you to create a setting that will be famous with everyone. Bone is not a new material in furniture. However the unique nature of it formerly insured that only the very wealthy would have these cool and yet somehow macabre pieces. With the advent of new methods of reuse and other farming practices it is slowly becoming more affordable. You can find all kinds of different outdoor and indoor pieces that incorporate this. They even have entire rooms made of it in some homes so it is worth taking a look at. While most people think of death when they think of bones it does not have to be that way. There are many different variations of them with their own shade and hues. Ivory is perhaps the most expensive and impressive one but is still prohibitively expensive. The original main source, elephants, have been the subject of protection acts which means the supply has gone down tremendously. However there are other resources. Choosing pieces that fit with bone Outdoor Furniture can be difficult too. Due to the sheer amount of material needed they can often be more expensive than other pieces which you would be buying. The grades of material also change the price. This is not a project for those who are in anything but the middle class because it can get unexpectedly pricey. The benefits of using these are quite significant though. Not only is it a tremendously durable and resistant material but it almost always has a smooth look to it that makes it look very stylish. Bone is also surprisingly easy to clean. When it has left an animal other particles do not readily stick to it. So you can easily clean just about anything off of it with some mild soap and some light scrubbing as well. 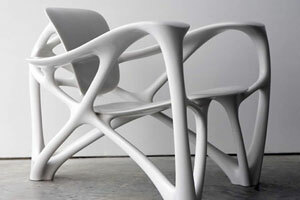 Another trend we have been seeing in all types of furniture is artificial bone. These are fake, yes, but they have many of the same benefits as the real pieces when put indoors or outdoors in your home. Unless your friends are incredibly skilled at noticing furniture flaws it would be impossible to tell the real from the fake. For those who cannot afford the genuine item you can get pretty much the same result from this. In the modern day we can shape any of these materials to have an incredible look. There are even pieces made entirely out of this that look like they are made out of wood. These fetch the highest price because they stand out so much from the crowd and create an incredible look. If you have the money to drop on as really large and important piece like this we would suggest looking into it. The trend itself of having bone furniture is still small but it is on the rise. As of now if you get in on it you will probably be an early adopter which comes with some advantages. The most important one being the ability to wow your guests with an amazing setup. It’s up to you whether this would fit in your home. Pets are hot these days. And not just because it is summer. Everyone wants to have one pet or another and it has become a trend to let them into many businesses. Is your outdoor bar furniture safe around them? Will you be able to get more customers if you let them in? While your situation may be different we’ll be going over the up and downsides to accepting them in your own area. It’s a more complicated issue than you might think at first. In the days of our ancestors no one would have thought twice if a dog or even sheep were to show up at a business. People had to tend for animals because in some cases they could literally save someone’s life or act as a great food source. However in modern times we band them from nearly every sort of establishment because they could cause problems. That trend is changing due to the pet love fad and how much people care for their critter companions. Companies are also making outdoor furniture that is pet resistant or even proof. They even have ones just made for them to enjoy. Many different businesses have started adding these to their setup. These may cost a bit more so you should plan for the additional money you will be putting in to add them. It is just another business investment that you should keep in mind if you are running any restaurant or bar. The benefits to allowing them in your area are significant though. Some people lover their pets so much that they will literally search out an area that accepts them in order to go out and have some fun. They also like to meet other owners which gives them an automatic common ground to talk about. Overall if you can manage to handle the risks you can see some serious growth both in revenue and loyalty among your clientele. The downside is that you don’t want pets ruining your Outdoor Bar Stools. If you do not have a setup prepared for them then you should probably wait and save up until you can create one that will work properly for your pets. The pieces vary in quality as much as any other sort of furniture so you will also need to shop around and find some that are good at a decent price. Those who want to take things a step further can actually buy treats and drinks for the pets as well. You can make a tidy sum by providing these extra things for your customers. It saves them the trouble of having to run to a supply store and gets you the extra money for it. In fact many people will pay more for these if it’s for someone or something that they love. The bottom line of this is that while it is more work it is often worth putting it in. 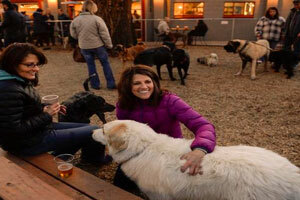 It can really improve the entire atmosphere of your business if pet owners bond there.